But good financial planning decisions go far beyond how and where you invest – they can potentially enhance your lifetime standard of living. Investing for Retirement, Charitable Giving, Higher Education, a Home, Investment Properties, etc. It’s important to understand that, because success may not always equal a higher portfolio return in the short term. Here are five intangible ways that a financial advisor can potentially add value to you. All too often, emotional decisions override rationality, and people wind up doing the wrong things at the worst possible time. An advisor can approach issues from the outside to help keep you from becoming your own worst enemy. The Bird Flu, Presidential Elections, Fiscal Cliff, etc. should not dictate the financial decisions you make for you and your family! We lost count of all the times we’ve saved client from themselves. It’s important to remember that good financial advice requires way more than just selecting investments or providing short-term market returns. It requires substantial expertise on both the investing AND planning sides. If you understand your finances and would like to expand on wealth creation, reach out to one of our associates and find out more about how we help golf professionals with a knack for saving and good business sense. Blake Parrish is Sr. Vice President of B P Financial Associates, a registered investment advisor. B P Financial Associates LLC, member SIPC. Registration with the SEC does not imply a certain level of skill or training. Advisory services offered through B P Financial. Securities held by Charles Schwab. 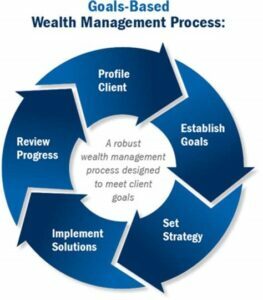 No client or prospective client should assume that the information contained herein (or any component thereof) serves as the receipt of, or a substitute for, personalized advice from B P Financial Associates, its investment adviser representatives, affiliates or any other investment professional.